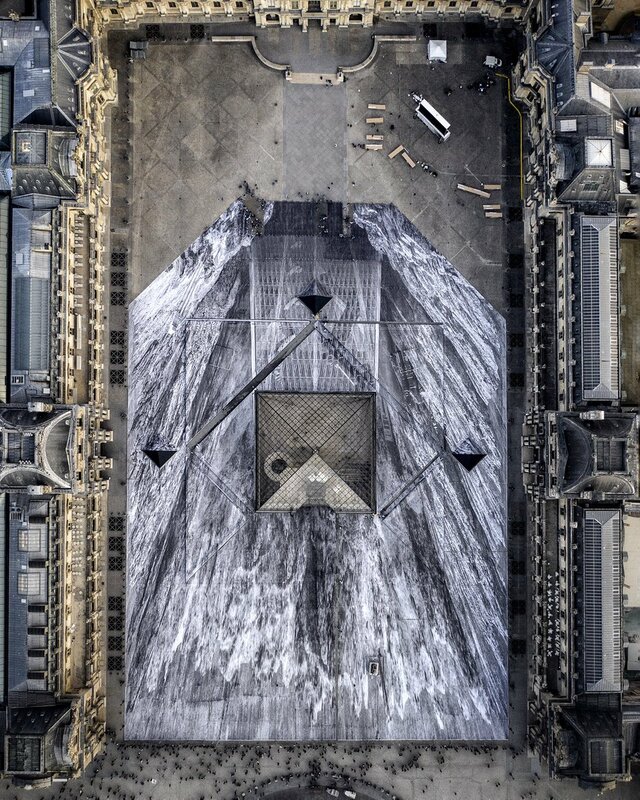 Returning to the Louvre almost three years after his debut groundbreaking installation (covered), JR (interviewed) has created another large scale optical illusion centered on the museum’s iconic glass pyramid designed by I.M. Pei and completed in 1989. 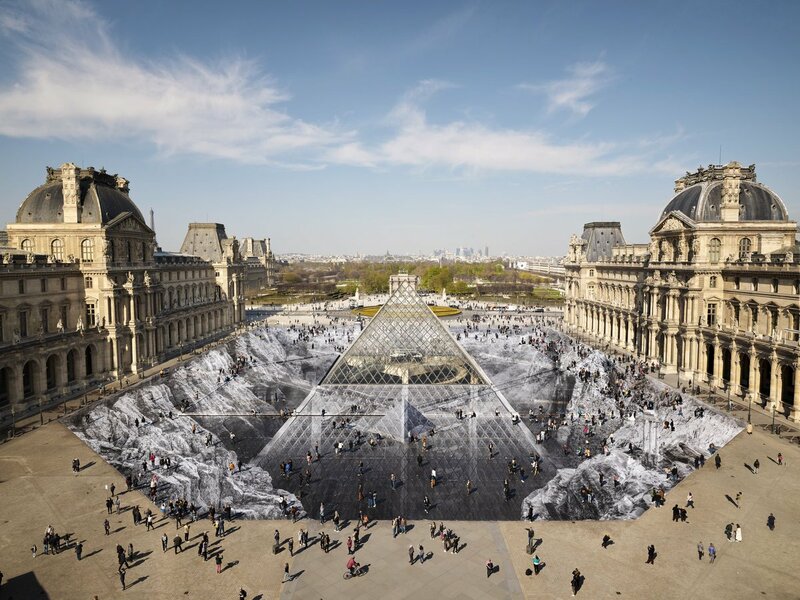 Devised in honor of the structure’s 30th anniversary, the piece titled The Secret of the Great Pyramid required the help of 400 volunteers pasting 2000 strips of paper in the main courtyard. 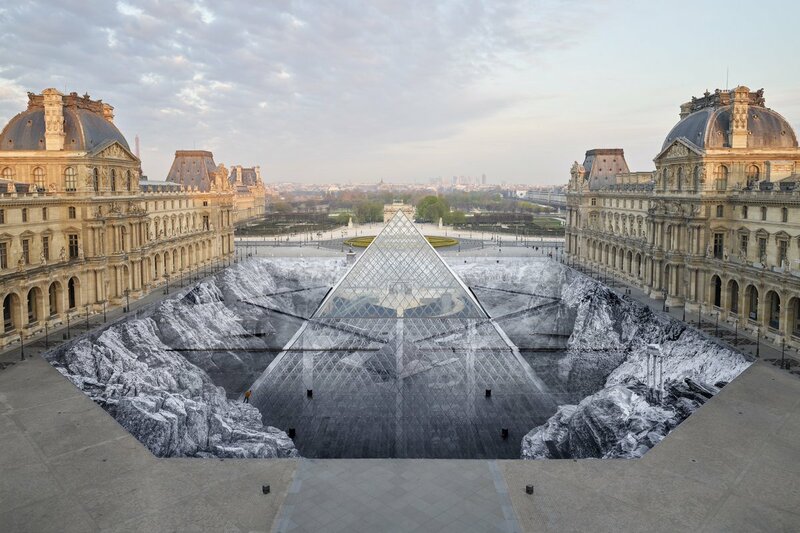 Lasting only one weekend, the ephemeral installation from French artist was able to make the pyramid appear to extend down into a deep rock quarry. 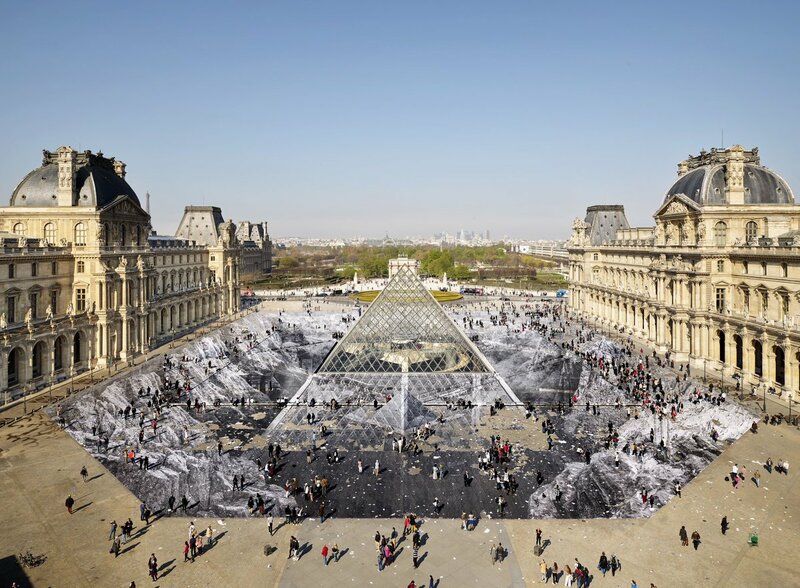 Photo credit: Colossal (via the artist). Categories: Contemporary Art, Features, Installation, Seen on Streets, Street & Urban Art. Tags: Contemporary Art, Features, JR, Paris, Seen on Streets, slider-featured, Street & Urban Art.